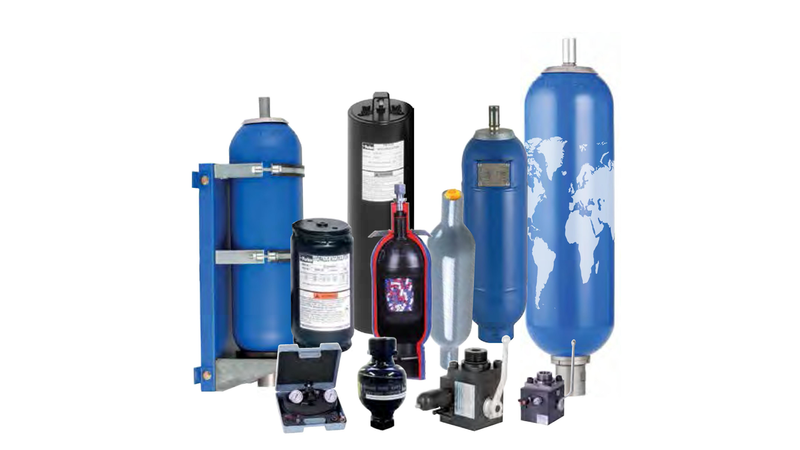 We have a wide range of pressure accumulators and spare parts for accumulators from Parker, Hydac, Roth, Integral, ORSTA. - Bladder accumulators are hydropneumatic accumulators that can be used in a wide variety of hydraulic systems. Gas and medium are separated by a bubble, in which the gas is trapped. - Piston accumulators are hydropneumatic pressure accumulators that can be used in a wide variety of hydraulic systems. Gas and medium are separated by a piston. The gas side can be extended by downstream pressure bottles. Pressure bottles for connection to e.g. Piston accumulator to increase the gas volume.